From Jamestown to 9/11, concerns about the landscape, husbanding of natural resources, and the health of our environment have been important to the American way of life. Natural Protest is the first collection of original essays to offer a cohesive social and political examination of environmental awareness, activism, and justice throughout American history. Editors Michael Egan and Jeff Crane have selected the finest new scholarship in the field, establishing this complex and fascinating subject firmly at the forefront of American historical study. 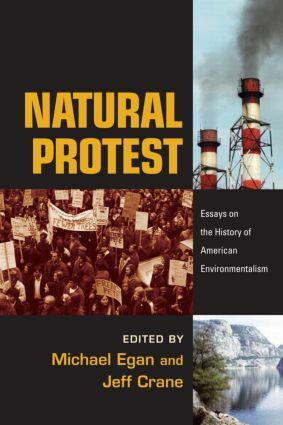 Focused and thought-provoking, Natural Protest presents a cutting-edge perspective on American environmentalism and environmental history, providing an invaluable resource for anyone concerned about the ecological fate of the world around us.